As someone who likely works within a university system, you are no doubt acquainted with the Chronicle of Higher Education, the country’s leading publication on higher education news and thought. Lately, the newspaper has covered online degree programs, and they mostly underscore how for-profit enterprises like the University of Phoenix and Kaplan University are scams that lead the poorest of students to sign on for a lifetime of debt in exchange for a meaningless diploma. Of course, much of the scrutiny that online programs have fallen under is deserved, but if you do your research, pursuing an advanced degree online may benefit you. 1. You don’t have to leave your job or your family to pursue your degree. This, perhaps, is one of the biggest advantages for the largest cross section of people. Considering that pursuing a Ph.D. at a traditional school often requires that you relocate, put your entire career and personal life on hold, an online degree provides an alternative in which you don’t have to sacrifice as much. Having the opportunity to complete work at home while still maintaining a part- or full-time job enables you to balance your work and social life. 2. You don’t experience the institutional pressure of teach classes while doing research. Most online doctoral programs do not have similar workloads when it comes to teaching classes while juggling research. While some programs require that you teach other online/community college classes, there is not that atmosphere of extreme competition that burns out and causes depression and anxiety among so many doctoral programs at traditional schools. If you decide to pursue an online doctoral degree, you can work at your own pace. Since most online programs don’t work like traditional Ph.D. programs, in which you exchange a very basic stipend for a teaching load, you can finish as quickly or slowly as you want. What’s more, since you can ostensibly still work, and you don’t have to pay for transportation or relocation costs, you can complete an online doctoral program much more economically than a traditional Ph.D. program. 1. There are more scams than legitimate programs, especially at the doctoral level. Online degree programs are notoriously shrouded in secrecy. That is to say, it is very difficult to get clear information from any big online schools when you are looking for information on the Internet or elsewhere. 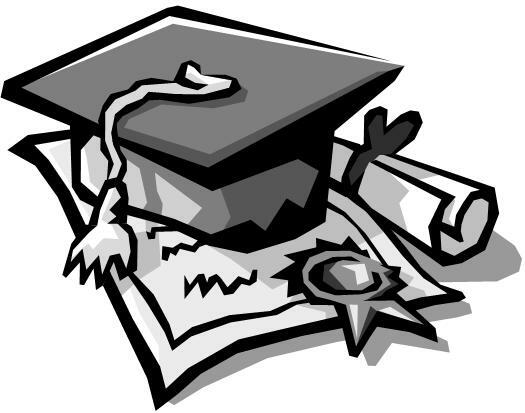 Many schools offer “doctoral” programs that aren’t accredited. As such, if you plan on pursuing an online doctoral degree, it is best to do so through a program that has been established for several years, or one that is offered through a traditional school, and not a for-profit one. 2. Many potential employers do not take online degrees seriously. Even if your program is accredited, not all employers take online degrees seriously, since the concept is still more or less in its infancy. Many hold fast to the belief that online degrees are “easier” than traditional degrees, although this isn’t necessarily true. Thus, if you are interested in pursuing an online doctoral degree, be sure to contact potential employers, like community colleges if you are interested in teaching, and other industries that you may be interested in, to find out if your career prospects will improve with an online degree. 3. You won’t have face-to-face support that is instrumental in building a student/professional mentor relationship. One of the best parts about pursuing an advanced degree at a traditional university is that you will develop real relationships with serious academics. While online doctoral programs attempt to replicate this mentorship that is standard at “brick-and-mortar” schools, they never quite come close to professional development that is common practice at traditional schools. When people ask themselves if online degrees are worth it, the answer is not quite as clear cut as a “yes” or “no”. The best answer is “it depends.” Depending on your circumstances and your career goals, then an online doctoral program might be just the thing for you. As long as you do your research thoroughly, you’ll be sure to find the academic track that is a best fit for you personally. This guest post is contributed by Barbara Jolie, who writes for online classes. She welcomes your comments at her email barbara.jolie876@gmail.com. This entry was posted on Monday, August 15th, 2011 at 11:40 pm and is filed under Graduate School. You can follow any responses to this entry through the RSS 2.0 feed. You can leave a response, or trackback from your own site. Thank you for the mention! Much appreciated.